The majority of those surveyed (a whopping 84% in fact) felt that banks should have to disclose who owns them in any advertising. Almost two-thirds of respondents thought that multi-branding was a trick employed by the banks. “Multi–branding is simply unfair because it creates artificial competition. The fact is, many of the smaller financial institutions out there are owned by the Big Four, which are trying to hide that ownership,” Peter Evers, managing director of People’s Choice said. On the back of this survey, People’s Choice is calling for regulation that makes it compulsory for banks to disclose their ultimate ownership prominently and clearly in all advertising. “If you believe in fair play, if you believe in a genuinely competitive market with real choice, consumers need to be able to easily understand the true identity and regulatory status of the entity they’re dealing with. 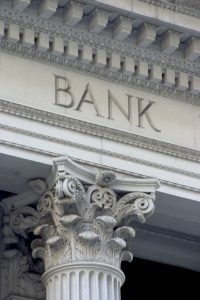 Major banks hide behind sub–brands that look like regional banks or non–banks. Consumers need real choice through clearer and more effective disclosure,” he said.